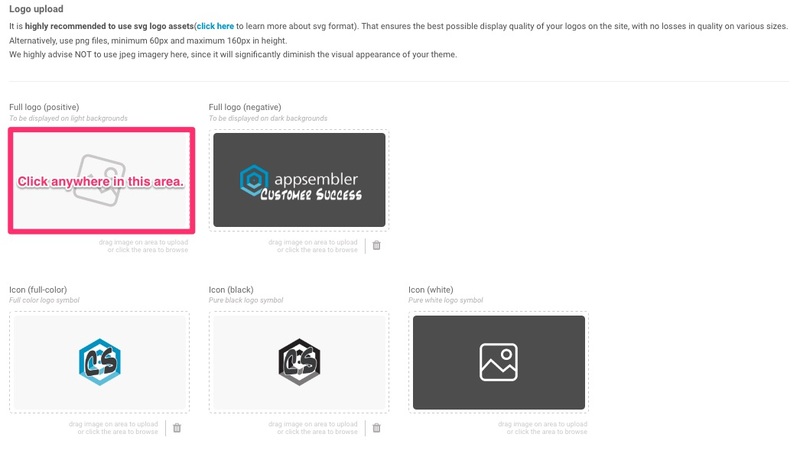 To add or change your logo assets with the Appsembler Management Console, follow these steps. 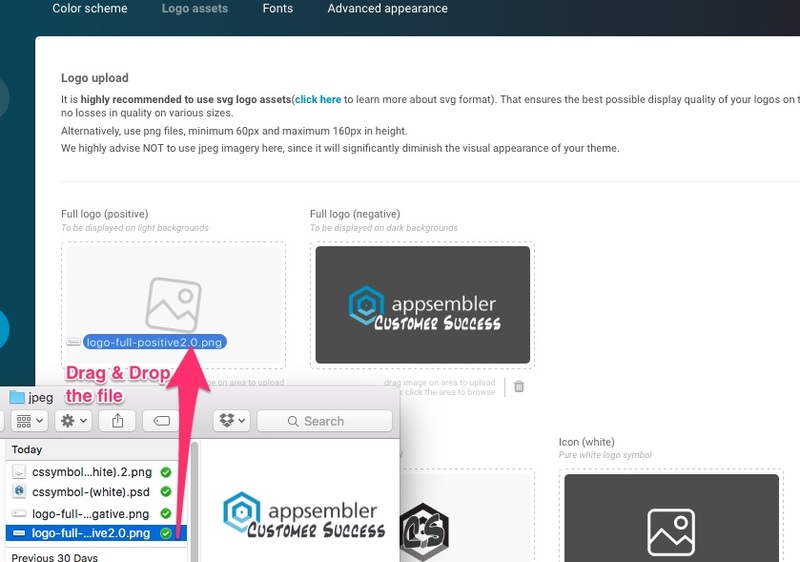 This page is where you can add, change, or delete all your logo assets. This can be done in one of two ways. Method 2: Drag the File onto the area. 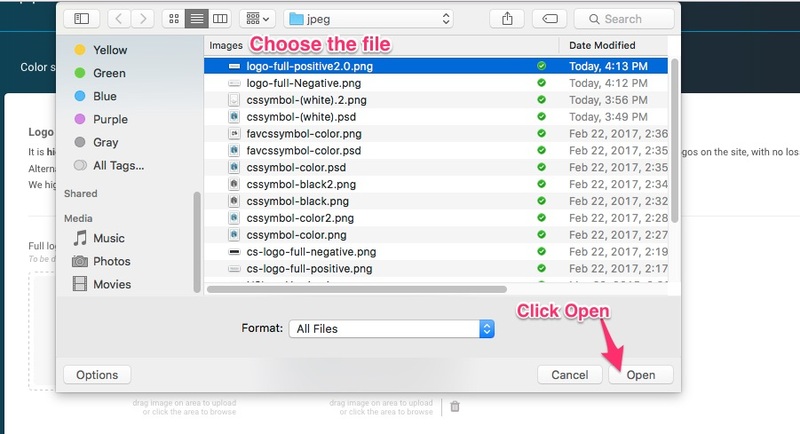 Important: Please read the guidelines for uploading the correct size & file type for logos. It is extremely important that you follow the guidelines at the top of this page in order to make sure your site looks as good as it possibly can! It is highly recommended to use svg logo assets ( click here to learn more about svg format). That ensures the best possible display quality of your logos on the site, with no losses in quality on various sizes. Alternatively, use png files, minimum 60px and maximum 160px in height. We highly advise NOT to use jpeg imagery here, since it will significantly diminish the visual appearance of your theme. 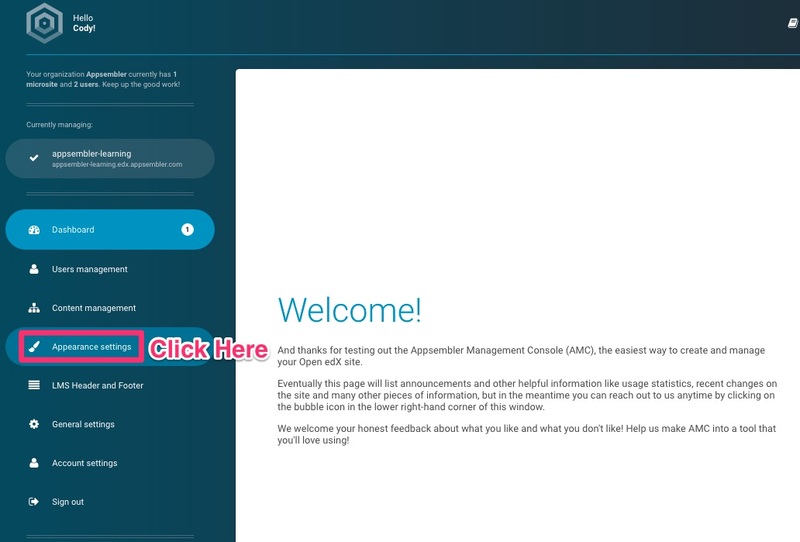 AMC is an extremely dynamic tool that allows you to make your site look exactly how you want it to. This includes changing the background color of the various places your logo appears. The header is a great example. Making this change didn't require me to do anything on the logo assets page of AMC. It was done automatically behind the scenes. 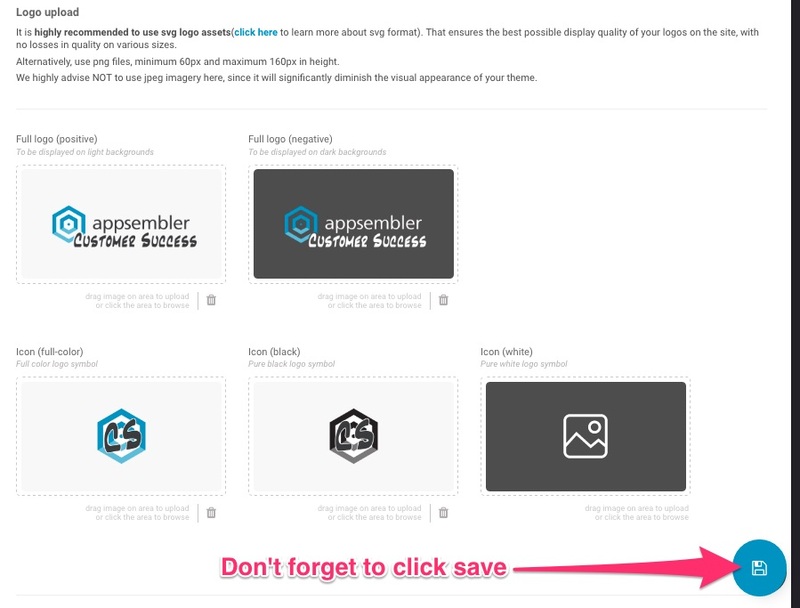 This same principle applies to the icon version of your logo, which by default appear in places like the footer of the LMS.